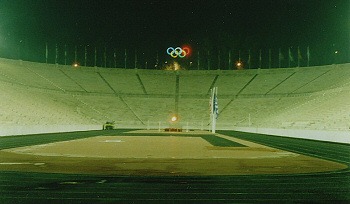 This year's marathon race (26.2 miles) will follow the steps of the legendary Phidippides, from the town of Marathon, and finish in the first modern Olympic Stadium in Athens.. The modern race is based on a legend, when a messenger named Phidippides ran over twenty-four miles to Athens, carrying news of a great victory of the soldiers of Athens over an invading Persian Army. 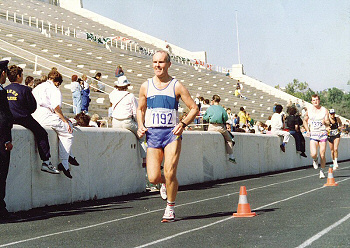 The modern marathon commemorates this epic run every year, and celebrates the battle as a victory for democracy and for the preservation of western civilization. 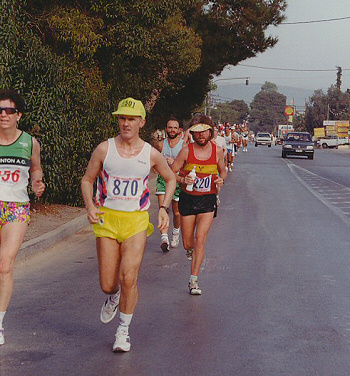 Martyn Overy, North Chadderton School, has completed six Athens marathons. 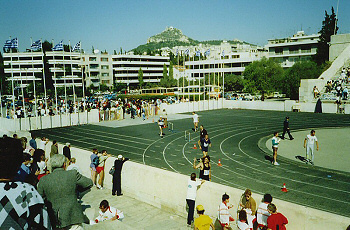 Starting 26.2 miles from Athens, from the village of Marathon. At this stage there are more trees alongside the road than concrete buildings. The last few metres is an experience to relish. 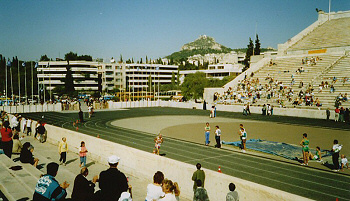 Athletes finish in the very first Olympic Stadium, built in 1896. 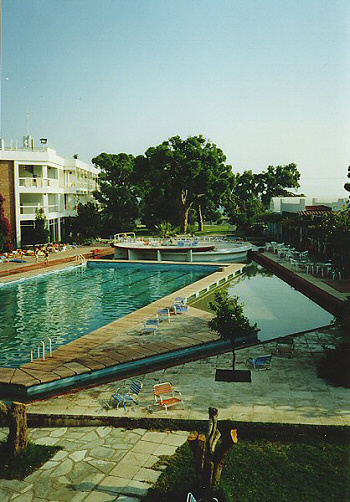 The track surface is of modern construction, but the surroundings are pure classical. Not much has changed since 1896 in this stadium, unlike the surroundings. 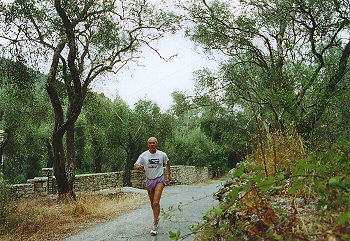 Training in beautiful surroundings o­n the island of Paxos.